All children deserve to have fun and to get a chance to play. PlayPower Canada takes that idea seriously. We create quality, durable and development-focused daycare and school playground equipment for Canada. In fact, it’s what we’ve been doing since 1947 — helping generations of Canadians create great playgrounds for our schools and our kids. The Accessibility for Ontarians With Disabilities Act (AODA) is legislation that aims to make public spaces accessible for Canadians living in Ontario with a disability. If you are building a playground in Toronto, Hamilton, Kitchener-Waterloo or anywhere in Ontario, you need to be looking at AODA playgrounds to ensure they are compliant. Sometimes labeled as “handicap accessible playground equipment,” accessible play equipment is designed to be used by people who may have mobility concerns. Playground equipment for children with physical disabilities may include slides and swings that can be accessed by someone with crutches or a wheelchair. Accessible spaces can also include ground cover or fill that allows wheelchairs and other devices to be used on the playground. PlayPower Canada has a range of accessible options for your playground. Want to learn more about our inclusive play equipment? Get a custom quote today! While kids are having fun on preschool or school playground equipment, they’re also busy learning and growing, which is why the highest-quality playgrounds for daycares and schools are so important. However, children have different abilities and different stages of development. Some kids may need a little more support or may need special playground equipment access due to mobility concerns or other conditions. While accessible playground equipment helps children with disabilities enjoy play, inclusive playground equipment goes a step beyond accessibility. Inclusive play equipment allows all children to play within one recreational area. Instead of having separate equipment for kids with special needs, inclusive equipment is meant to allow everyone to play together using the same equipment. Inclusive equipment can include accessible equipment, quiet spaces for kids who get overwhelmed easily and other pieces of equipment that offer something for every need. Children are learning actively, creating peer groups, gaining more independence from parents and learning how to work and play together. 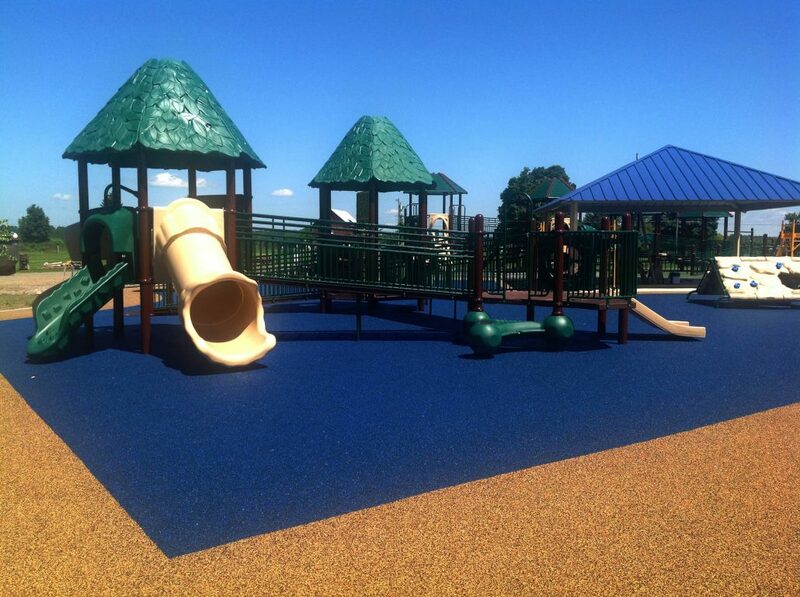 Our playgrounds are designed to let more kids experience the power of play. Contact us today for a free consultation.